Ironically, many leading health IT vendors present their population health capabilities as ‘healing the planet’ or designed for ‘finding new cures’. While population health certainly has the potential to contribute to such noble objectives, the irony is that we have yet to address the basic challenge of providing a holistic view of a single patient. What we’re missing today is not just the mind or the soul of the patient as suggested by ‘holistic medicine’ practitioners. Our current patient record, or electronic health record (EHR) does not cover the entire ‘body’ of the patient – not even those elements typically necessary for practicing evidence-based, modern western medicine. The problem starts with the basic architecture of our care delivery system. Much has been written over the past decade about the disadvantages of our highly fragmented delivery system. Billions of dollars have been spent over the same period under the mission of creating more integrated delivery systems. And yet, you’d be hard pressed to find a single person in America today that has all their medical information in one place. As a relatively healthy 50 years’ old individual, living in the center of the Atlanta Metropolitan area, I have recently counted 8 different patient portals I have access to. And not one of them shows that I have recently take a flu shot at the local drugstore… Sounds familiar? Before we engage in population health, it’s time we equipped our care providers with a comprehensive view of each patient. Why is it that although my own primary care doctor is part of an “integrated delivery network” that has spent hundreds of millions of dollars on an “integrated health IT system,” my health record is still so broken and incomplete? 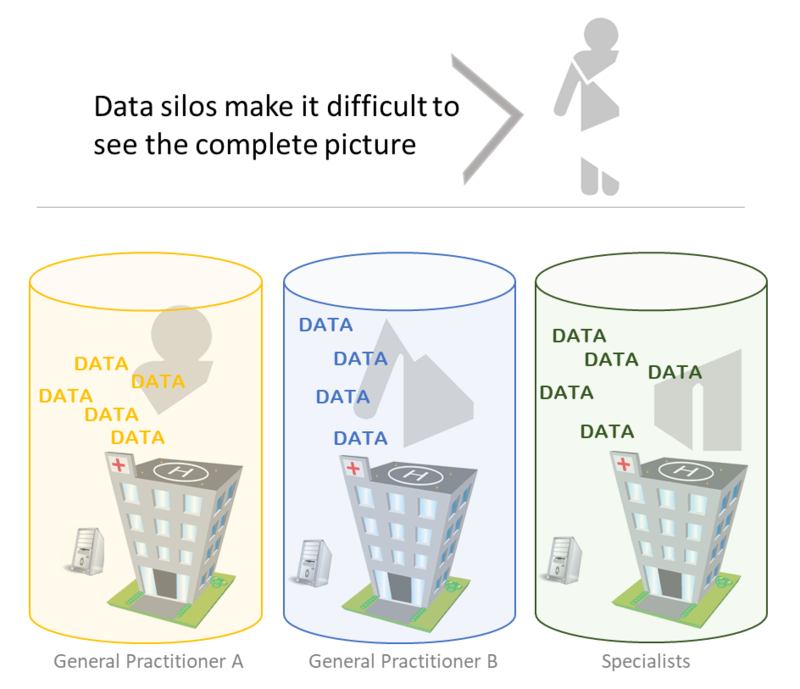 The answers to these questions may be found in the new concept of ‘holistic patient records.’ But first we must examine our understanding and misconceptions with respect to healthcare data and interoperability. Unlike traditional data warehouses that are bound to those data types and elements built into their ‘schema’ (i.e. their pre-designed structure), semantic data warehouses can ingest any type of data. Semantic interoperability enables stakeholders from different disciplines to share information across disciplines and knowledge levels in a meaningful fashion. Semantic technology facilitates measurement independently of the ontology of the source data – a key factor for measuring performance in a dynamic field where key performance indicators (KPIs) are continuously evolving. In its core, semantic data warehousing technology maintains not only the raw source data, but also a great deal of ‘metadata’ that describes the source and context of each raw data element. Such metadata is critical to support deep data governance to alleviate the concerns associated with data sharing among competitors. The above architecture is available and in operation today. Clinigence has applied it to integrating over 20 different EHR systems, claims and other data types from multiple payers, including Medicare, Medicaid and commercial payers. It overlays existing systems and does not require any costly upgrades or, in most cases, even the support of existing vendors. It is future-proof in the sense that it inherently supports any future data sources and key performance indicators and provides the foundation for ‘holistic’ patient records that complement and close gaps in existing technology.